Walking distance to the LRT! Close to South Edmonton Common! Easy access to major transit and commuting routes!! This location has it all!! Nestled in the quiet, convenient Blue Quill community, this amazing unit is just blocks from Century Park LRT and surrounding amenities. 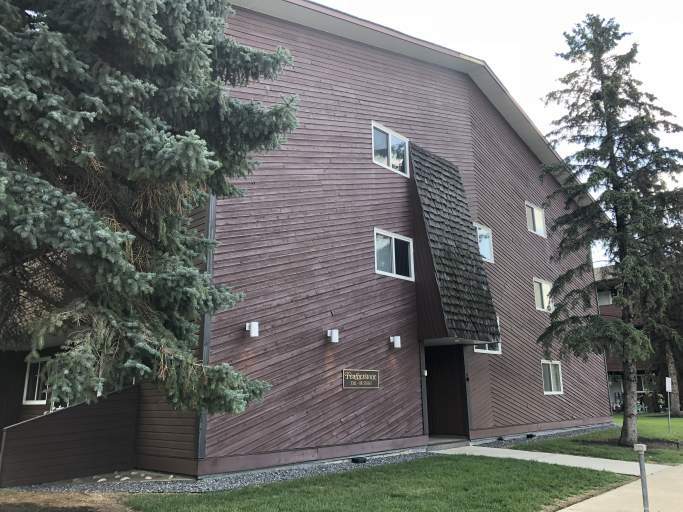 This mean easy access to the University of Alberta, Macewan University and the Downtown Core! Plus, major amenities are just minutes away at Century Park, South Edmonton Common, and Terwillegar Heights Towne Square! Not to mention across the street you will find access to walking and biking trails in the Whitemud Creek ravine! The unit itself is even more impressive than its location! The entire unit has been updated and features stylish laminate flooring, a brand-new bathroom and new paint throughout! Walk in the front door of this ground level unit and find a spacious front entry opening into a massive open concept living room and dining room area filled with natural light through large windows and sliding glass doors which lead to the small patio. The spacious design will accommodate any furniture arrangement and is perfect for entertaining or just plain relaxing! The kitchen features tons white cabinetry accented with dark countertops, a full-size fridge, stove and even a dishwasher! Plus, a large pantry closet takes care of all your storage needs! Just off the kitchen is the washer and dryer which means no more sharing laundry! Down the hallway you will find a massive bedroom with a huge built-in closet with mirrored sliding doors. Enough room for any bed size and multiple dressers! Just off the bedroom is the completely updated bathroom, complete with a large tub shower and new vanity! To top it all off this unit is pet friendly!! A small dog or cat would be accepted, subject to board approval and a $250.00 Non-Refundable Pet Fee. Included in the monthly rent is heat and water utilities as well as exclusive use of one outdoor assigned stall. Call today to view this amazing unit!